Morse Home Improvement, Inc. is a second generation, family owned and operated company committed to putting customer service and quality first. We have been located at the same location in Alton, Illinois since 1962. 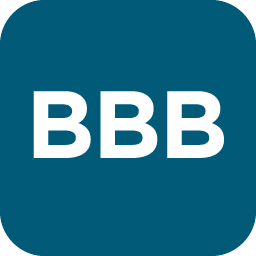 We have been accredited members of the Better Business Bureau with an outstanding record, since joining in July of 1994. We have and will continue to strive to provide this level of excellence for as long as our good Lord allows. Small businesses were once the foundation of this country. We, as a small business, realize how important each and every customer is. We value each one of you as individuals, families just like us, and rely on you to keep us all going. We serve the communities in and around the Counties of Madison, St. Clair, Jersey and Macoupin and hope to have the opportunity to serve you. We strive to make every customer a customer for life. At Morse Home Improvement, we operate by a code of ethics we call “The MORSE CODE”. This code consists of: HONESTY, INTEGRITY, QUALITY, SERVICE, and VALUE. This code of ethics drives us to provide our customers with honest, fair prices, while giving you the best value from quality products and workmanship. No high pressure or gimmicks makes getting your free estimate a comfortable experience. Making our customers happy is our ultimate goal and we’ll spare no expense to insure your satisfaction. We understand the importance of a good reputation and all of our employees can stand proud and tall when seen in public by our customers. I’m certain you will be happy with your decision to hire us for your project. All of our aluminum products are made from extruded aluminum instead of roll-formed. Extruded aluminum is much stronger and is not hollow. Our products meet or exceed the wind and snow load requirements for our region of the country. All of our window and door awnings and patio roof systems are made of heavy gage aluminum that will not rot or rust, making it an investment that will last a lifetime. We have a vast array of colors for our window and door awnings; there are over a dozen colors to choose from to match, accent, contrast and compliment the color(s) of your home. 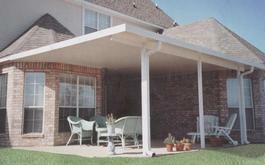 We also have the most colors available in the tri-county area for our patio covers. Additionally, if you choose an insulated patio cover, you have the option of having ceiling fans and/or lights. We only use quality products that have proven their reliability. Simonton, Viwinco and SilverLine are a few of them. With products and suppliers including Certainteed, Fullback, and Wholesale Siding Depot you can rely on a quality job that lasts. Structall and Four Seasons Building Products are quality, reliable providers of sun and screen room products. Enjoy a new addition today! JGL Awnings, a division of MHI, strives to provide the highest quality, custom awnings in the area. It is our goal to be the local leader in window replacement, window installation, bay windows, vinyl siding, french doors, sliding doors, kitchen remodeling, awnings, and SunSetter Awnings in the greater Alton Area. 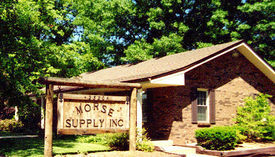 Learn about our products and learn for yourself why Morse Home Improvement truly is the leader in these areas and more.